Life Magazine November 27, 1970. 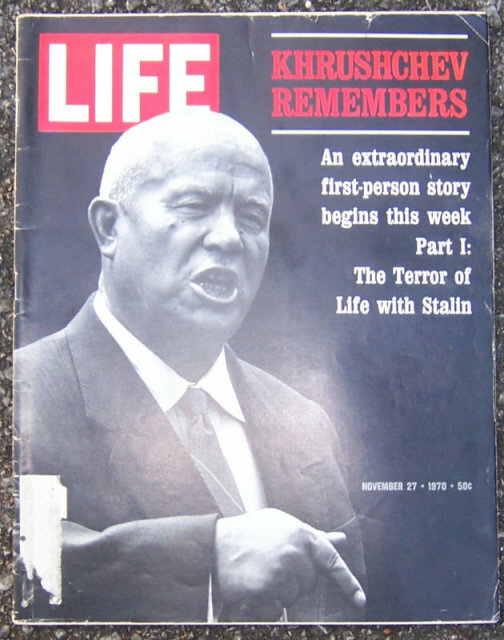 Khrushchev Remembers on cover. Articles also include Deadly Pinwheel, Rarities of Ethiopia, The Doctor in the TV Set, It's Knickers Sans Droop, What Would You Do in a Fix Like This, and more. Filled with Great period advertising and Life's Famous photographs. Magazine is in very good condition, wear at edges and spine.